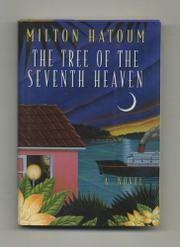  Originally published in Brazil, where it won a prestigious literary prize in 1989, this quirky first novel relates the saga of a Lebanese immigrant family, a tale as mysterious as the jungle that surrounds their home in Manaus, capital of the Amazon province. Matriarch Emilie's death is the catalyst for a low-key outpouring of memory and confession by relatives and friends whose voices often seem interchangeable. The narrators include a young girl who was raised from infancy as one of the family; Emilie's favorite son, Uncle Hakim; Dorner, a German photographer; and Hindie, an old friend. Cumulatively, their stories suggest but never define the truth about Emilie and her turbulent kin. She was a woman ``who suffered the death of loved ones and the sorrows of the whole family, and still managed to make each night a festival of pleasure that infected all the rooms.'' A devout Christian, she ran away to a Beirut convent when her parents decided to emigrate to Manaus, but her beloved brother Emir threatened to shoot himself if she did not come with them. Although the family prospers in Brazil, Emir, weighed down by secret sorrows, soon commits suicide by jumping in a tributary of the Amazon. Shortly after his death, Emilie marries a devout Moslem merchant, also a Lebanese immigrant; they formed a couple, Uncle Hakim recalls, ``extravagant both in disagreement and love.'' Their only daughter has an illegitimate mute child who is killed in an accident, and two of their sons are uncouth, greedy louts who may be responsible for Emilie's murder. People mysteriously appear and disappear in a narrative that remains opaque to the end. Atmosphere and ambience are everything here, plot merely secondary to the lyrical evocation of a particular place, person, and period. An interesting debut.